"Good bye MV Thai Sea"
MV Smiling Seahorse went on its very first cruise in November 2018, and it was great!!! The boat has been a work in progress for the last 12 months and we are so proud of the result! Let me introduce you to MV Smiling Seahorse: 25 x 6.4m, 4 decks = a lot of space for only 16 divers!!! On the top, you'll find the giant sundeck with it's nice shaded area with hamacs and sunbeds. It is gigantic! The upper deck will host the dinning area as well as the standard cabins for guests and dive guides. ​In the outdoor saloon you can see at the back a large sofa area covered with plenty of cushions to make it THE spot for a lovely nap! 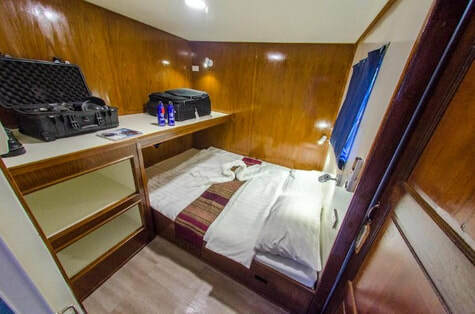 ...or as 2 bunk beds giving a lot of room on the floor for your bags and such, and because we know you like space there are also 2 big shelves for your personal belongings. 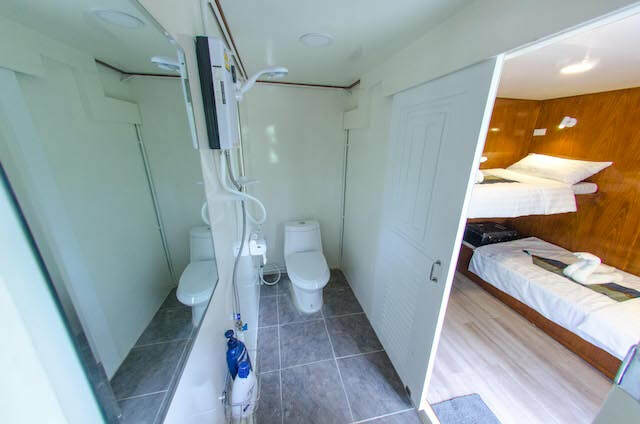 The Main deck will have the large dive deck, with the two bathroom shared by the Standard cabins, the photographers room and the kitchen. 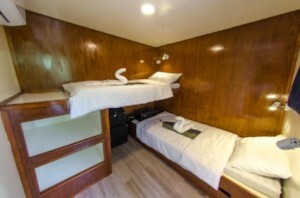 And going forward you'll find the deluxe and Master cabins. 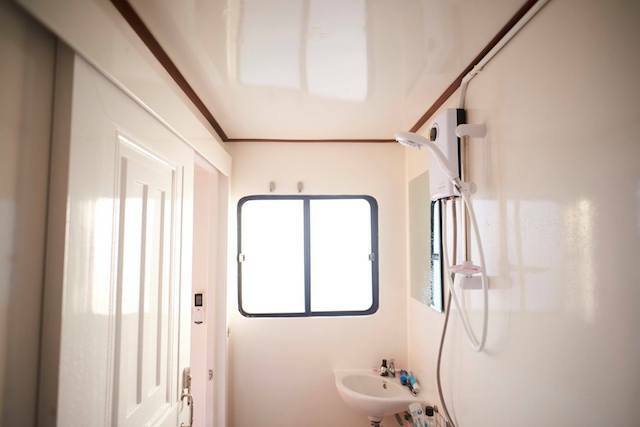 ​Deluxe cabins on the main deck are identical to the Standard cabin but have an ensuite bathroom. 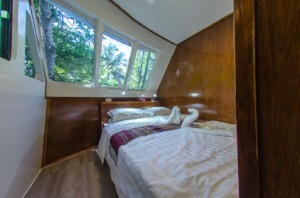 ​The 2 master cabins, at the front have a double bed, an ensuite bathroom and a giant panoramic window forward. The main deck will also be the place you'll find our infamous chef in the kitchen, next to the photo room (left of the stairs). 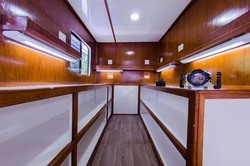 Our dear photographers will find plenty of charging sockets, a large rinsing tank just for them and their toys, large desk to work their tools and individual storage baskets for all their photo gear. 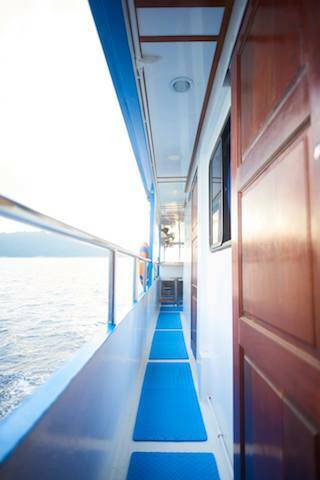 It's also from the back of the main deck that we will go diving!!! Plenty of storage, plenty of space, nitrox blending... ​a davit for the brand new dingy, fin friendly ladders, what else? Read what people said about us!